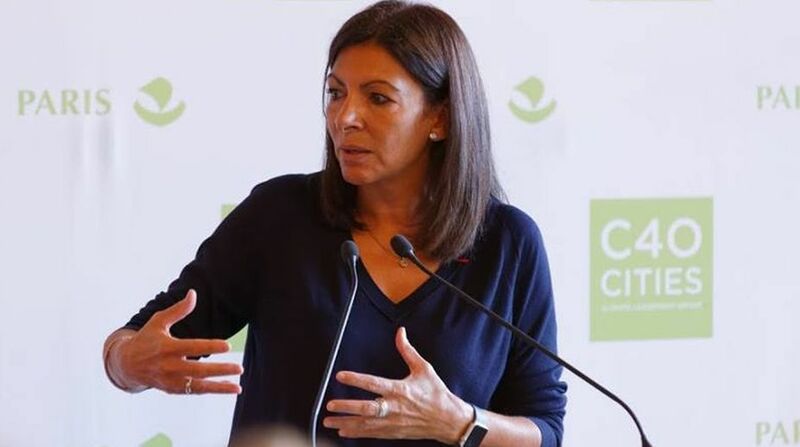 Paris Mayor Anne Hidalgo has hit back at US President Donald Trump's remarks about the French capital's loss of appeal due to terror attacks, a media report said on Sunday. On Saturday, Hidalgo tweeted a picture of herself with Mickey and Minnie Mouse celebrating the city's "dynamism and spirit of openness" and stressed on the inclusivity and energy of Paris, the BBC reported. Trump made the remarks during a speech delivered on Friday at the Conservative Political Action Conference in National Harbour, Maryland. The US President claimed that a friend told him that "Paris is no longer Paris", seemingly because of the recent terror attacks that took place in the city. Hidalgo's response came as France celebrated the 25th anniversary of Disneyland Paris. The Paris mayor also challenged the suggestion that tourist numbers from the US were in decline, saying reservations were up 30 per cent in 2017. According to figures published by the Paris Office of Tourism, 7,356,945 foreign tourists arrived at hotels in Paris between January and November 2016, 11.9 per cent fewer than in the same period the previous year. Among American tourists, the decline was only slightly smaller – there were 1,387,191 hotel arrivals, down 9.9 per cent. Meanwhile, French President Francois Hollande also slammed Trump for his comments asking him not to disparage Paris, Efe news said. "That is not what I do toward a friendly country and I ask the American President not to do it to France," he added.